The quality care we provide is accomplished by staff that is trained to care for the individual needs of each resident. 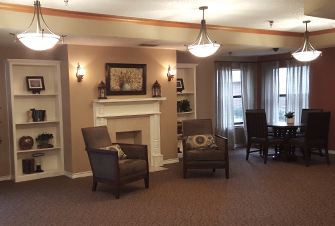 We provide care according to each resident's particular functioning level, ranging from early dementia to medically complex needs. 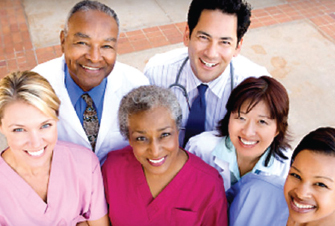 Care of the resident is directed by an attending physician. A Licensed Registered Dietitian conducts ongoing assessments of each resident's nutritional status. Specialized diet plans are provided as appropriate. Pine Ridge, a skilled nursing facility, is certified for Medicare, Medicaid, private and Hospice. The Social Services Department facilitates admissions to Pine Ridge, identifies the psychosocial needs of the residents, assists in helping residents achieve their highest potential and facilitates discharge planning. Social Services staff work with all departments to develop a care plan to assist residents in achieving their goals, which often include returning to their home or lesser level of care following rehabilitation. 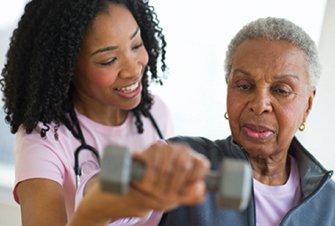 At Pine Ridge Health Care & Rehabilitation, our experienced licensed staff will help you achieve your maximum physical, social and emotional independence through physical, occupational and speech therapies. Whether post orthopedic surgery, neurological, cardiopulmonary, generalized weakness or com-plex medical complications, our dedicated team will develop a comprehensive individualized treat-ment plan designed to meet your specific needs working toward a safe and quick return home. Pine Ridge offers a variety of activities seven days per week. Social gatherings, Educational programs, Outings, Crafts, Music, Exercise classes, fishing trips, monthly "Meal Out" and Church Services are some of the items offered.